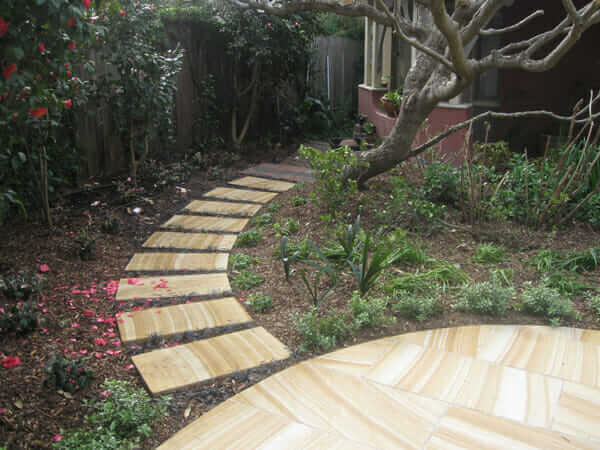 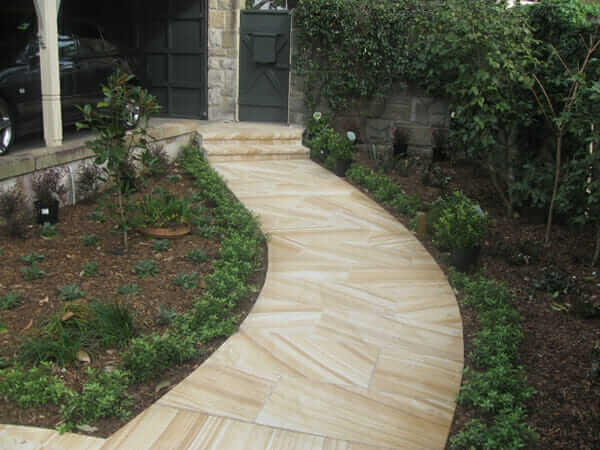 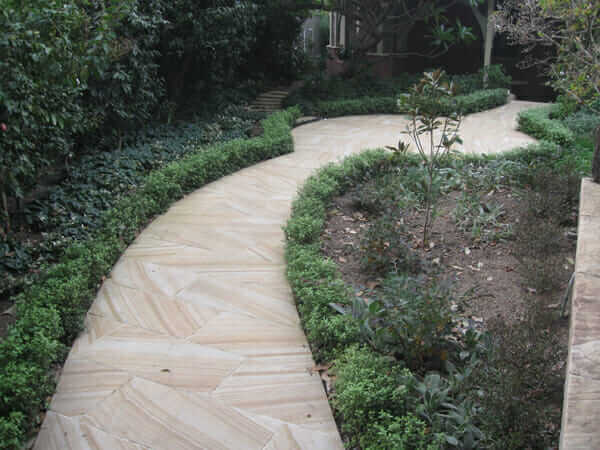 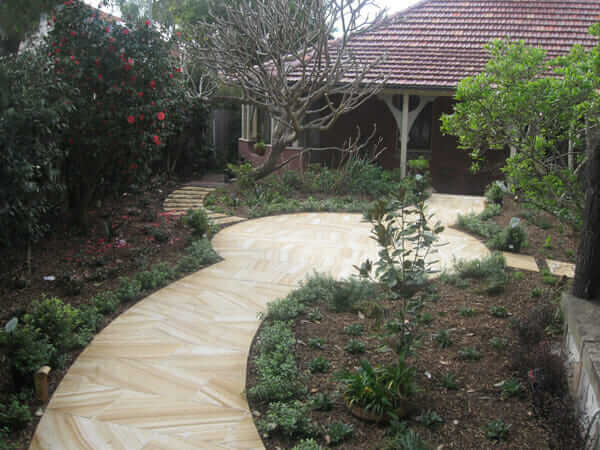 The clients requested a solid path to go from their entry to their front door so their feet would not get muddy. 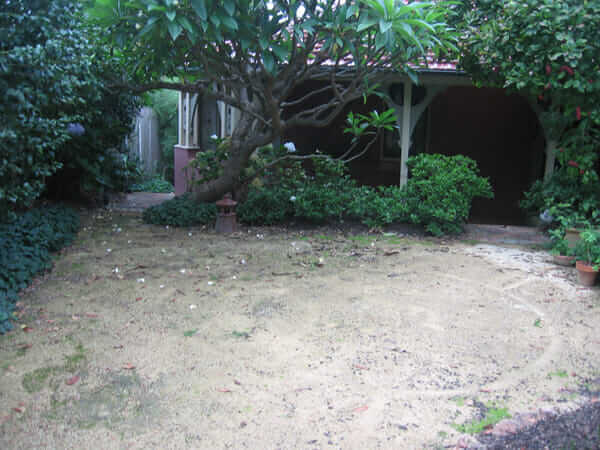 As part of the project the existing hydrangeas, camellias & magnolias had to stay, the existing violas were kept & replanted and a herb garden was to be incorporated. 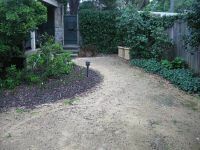 Defining the front entrance to differentiate it from the utility area of the garden. ARTVIEW Landscapes also proposed that the boundary entry should be made safer and the realignment of the entry steps was incorporated into the design. 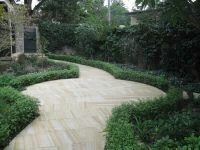 Design and project management: Brian Baker of ARTVIEW Landscapes. 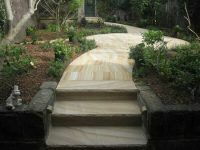 Landscape contractor: Brian Baker of ARTVIEW Landscapes. 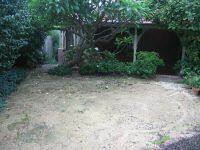 Storage for the site materials and tools was limited as no storage was allowed out the front of the property or the area under the existing trees and shrubs. The clients were going to be living at the property, with their only access to the home being where the landscape construction works were taking place. Site set out and check measure is hands-on and is a means to demonstrate how the landscape design will look. 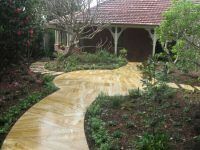 Pathways and features are marked out using surveyors paint, pegs and string lines. 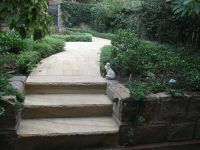 A concrete base is then poured for the area in which the sandstone tiling is to be laid. The sandstone was grouted, then protected to prevent it being stained from the new soil imported into the garden. 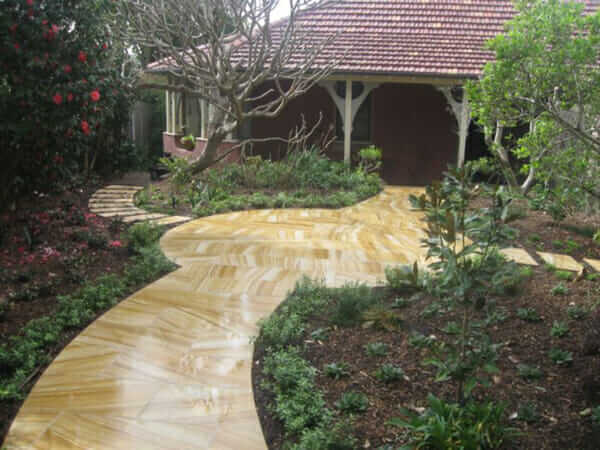 The clients were delighted with the completed landscape as their feet would never again get muddy. The enlarged space with beautiful sandstone perfectly compliments the period style of their existing home and garden walls. 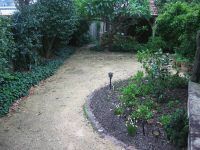 The existing hydrangeas, camellias, magnolias and viola plants were retained and the garden enhanced with new plants. 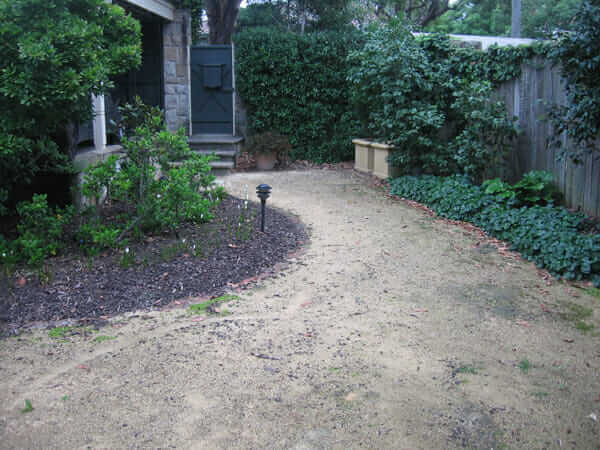 Ophiopogan nigricans as hardy groundcover between steppers to wheel bins over.